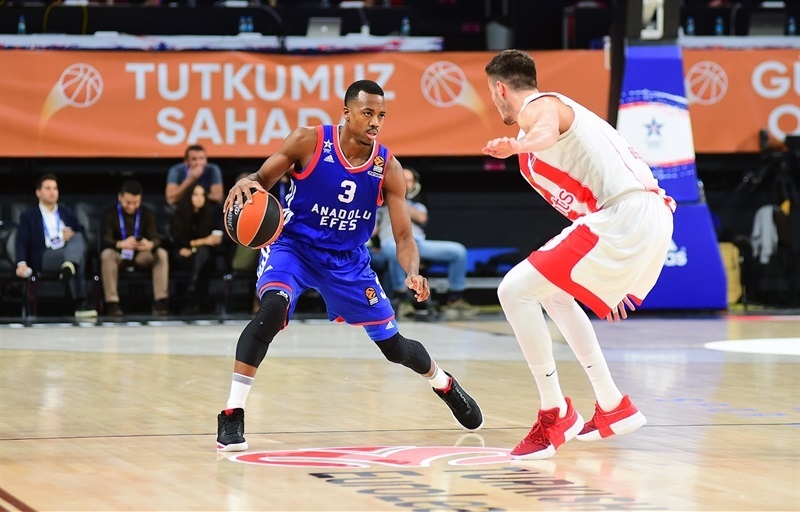 Anadolu Efes Istanbul overcame Crvena Zvezda mts Belgrade 104-95 in a highly entertaining battle at Sinan Erdem Dome on Friday. 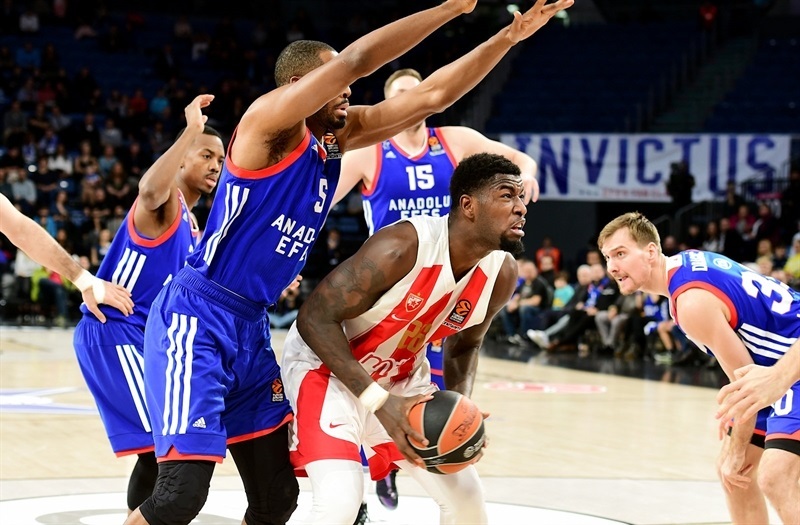 Efes repeatedly pulled away to double-digit leads but Zvezda always fought back until the final stages, when the home team’s last big offensive surge proved enough to seal its second win in three games. 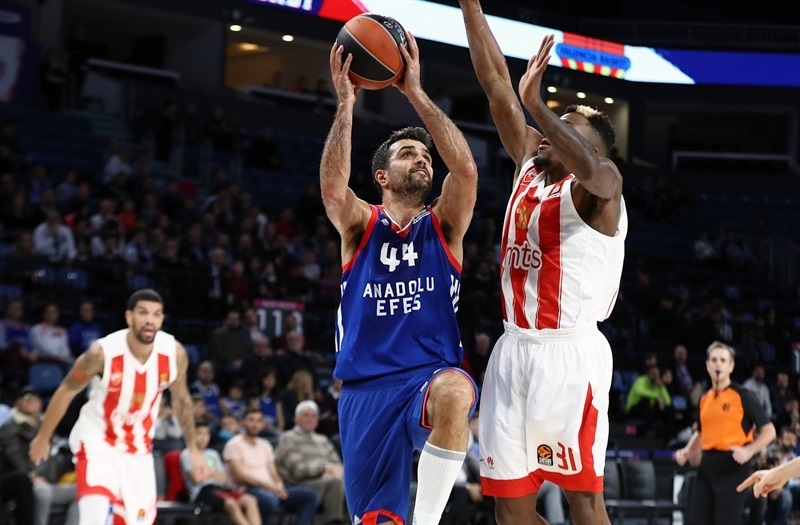 Efes improves to 5-12, two wins behind Zvezda at 7-10. 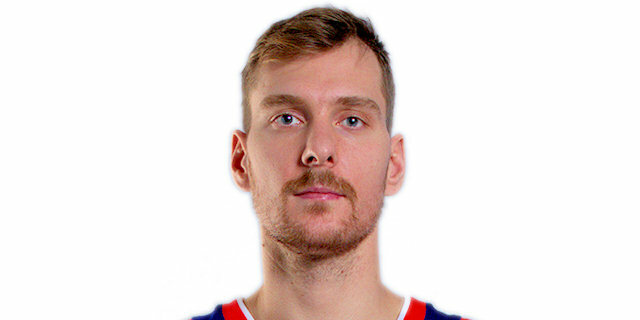 Six home team players scored in double figures, led by Zoran Dragic (24 points) and Errick McCollom (20). 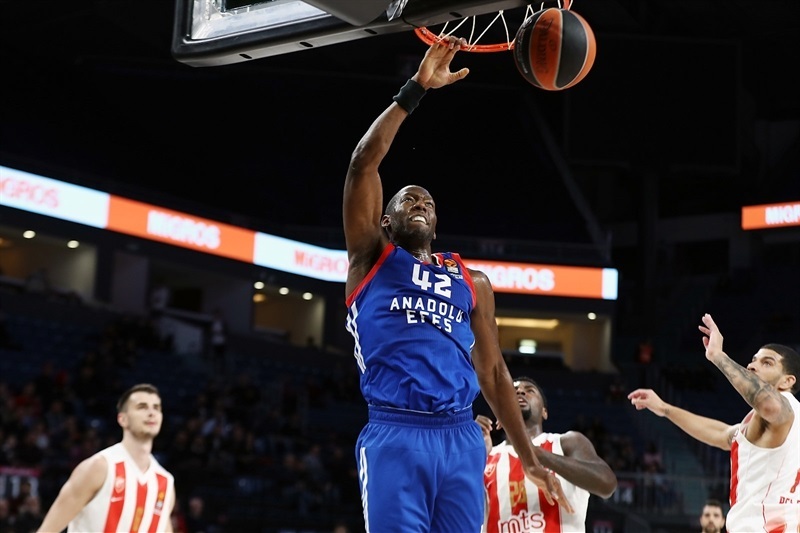 Bryant Dunston combined 13 points with 7 rebounds, Brock Motum and debutant Toney Douglas added 12 points apiece, Krunoslav Simon netted 11 and Derrick Brown scored 10. 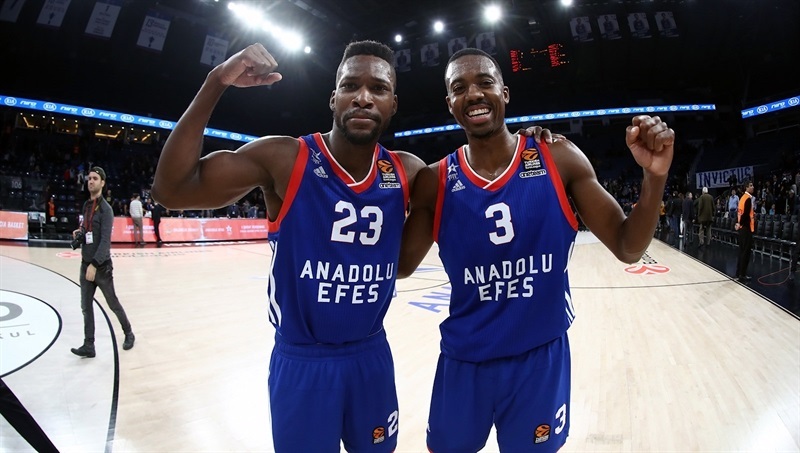 Efes had eight different players sharing a season-high 21 assists. 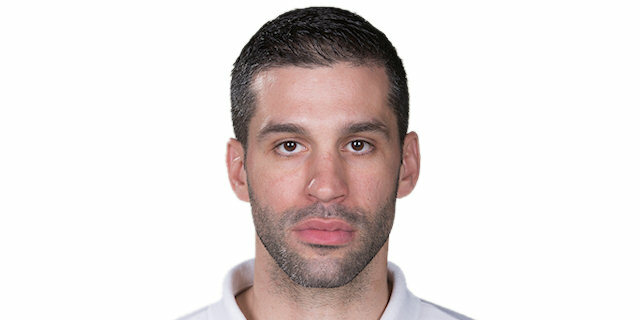 Milko Bjelica led Zvezda with 15 points and 6 rebounds, Taylor Rochestie scored 14 and Nikola Jovanovic added 13. Mathias Lessort scored 11 and Dejan Davidovac added 10. 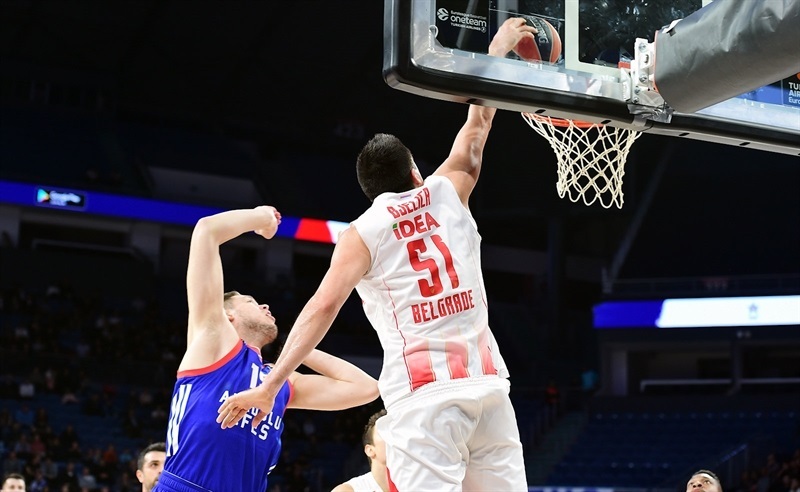 Big men Bjelica and Dunston exchanged early two-pointers, and baskets were evenly traded during the opening quarter, with Motum exploding a big slam and Dunston adding a three-point play while James Feldeine netted a triple and scored from close range for Zvezda. Motum’s corner three and Simon’s driving layup kept Efes ahead, but only until Nemanja Dangubic nudged the visitors back in front. Brown responded for Efes, Bjelica drove the baseline to slam but Simon scored again and it was 22-21 at the end of the first. 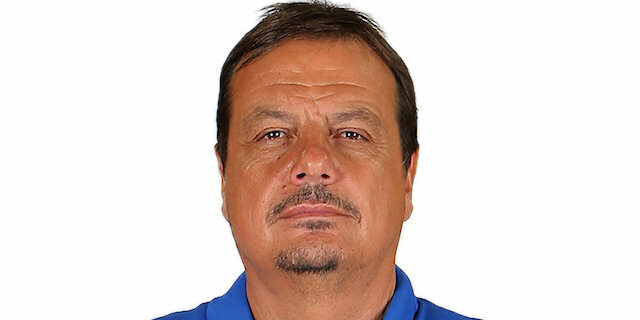 Branko Lazic started the second quarter with a triple, but Dragic did likewise and more lead changes ensued before Dragic gave Efes daylight from downtown and then made it 35-28 with a jumper and one. 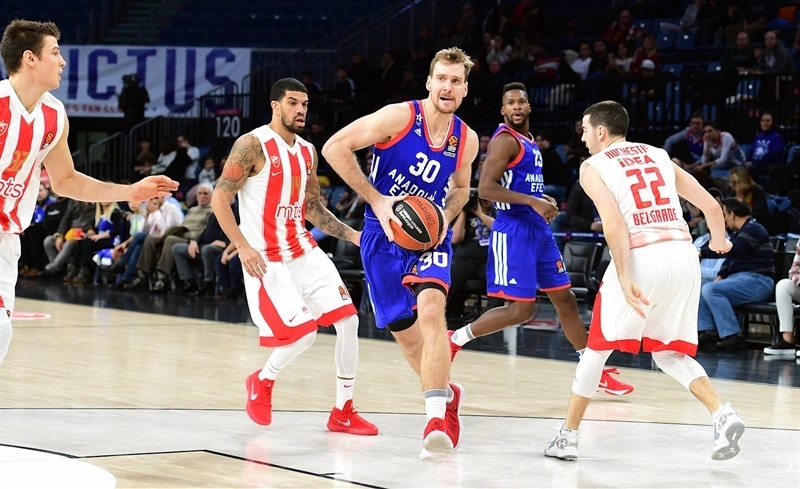 Lessort tipped in to get Zvezda back on the board after a 10-0 Efes run, but Brown’s free throws and a Douglas layup delivered a double-digit lead. 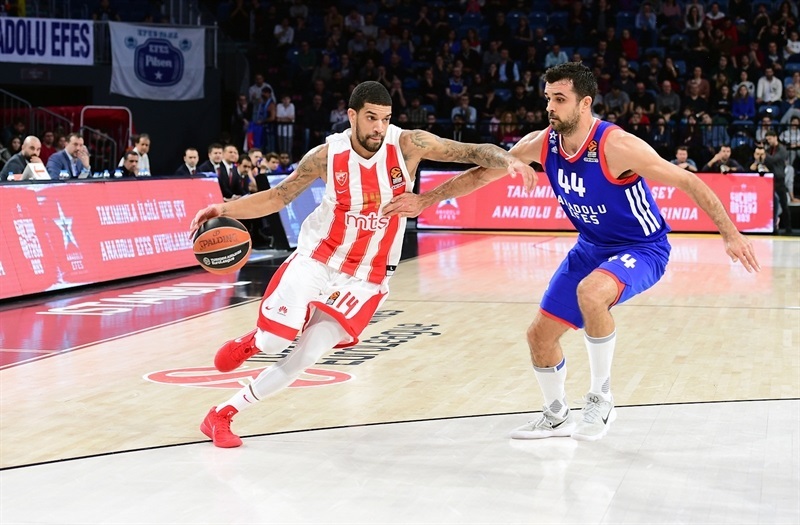 Brown slammed, Dunston dunked a put-back and Dragic drove for a smooth layup as Efes continued to motor, but triples from Rochestie and Davidovac kept Zvezda in contention. A three-point play from Rochestie reduced the deficit to single figures, and after a flurry of free throws it was 50-46 at the break, with Zvezda ending the half on a 1-10 run. 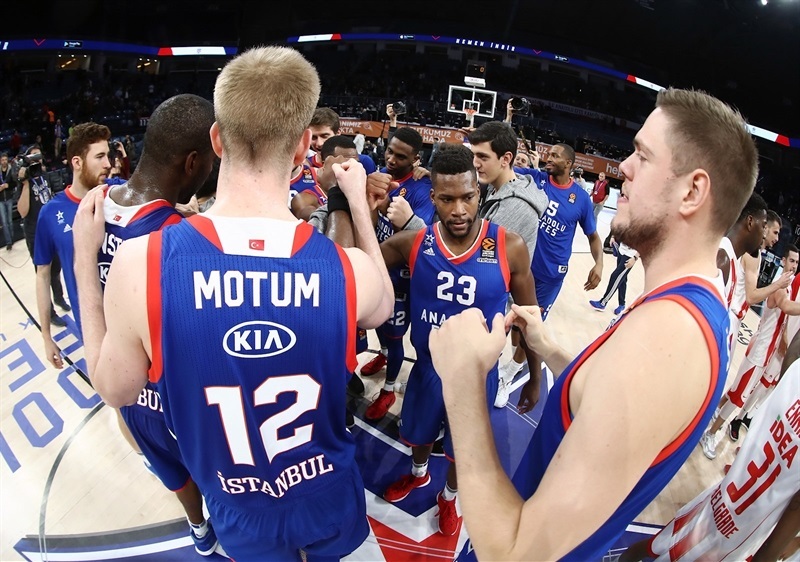 Efes took the lead back up to 10 points early in the second half as Motum and McCollom both made triples, Dunston threw down a big slam and Dragic finished a reverse layup. 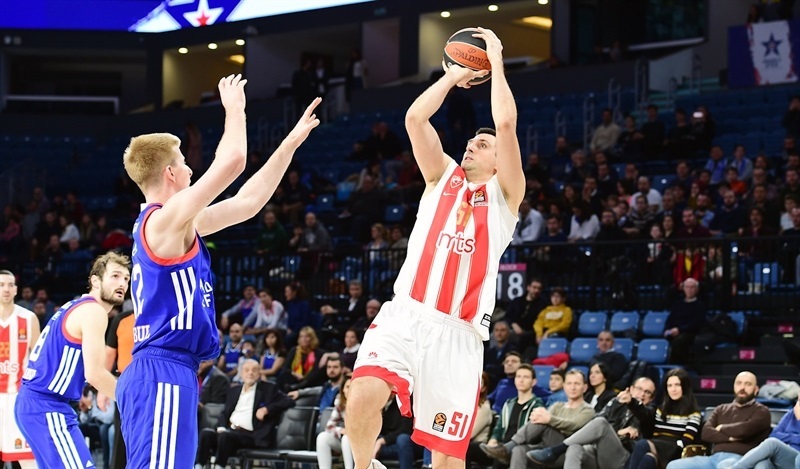 But Stefan Jankovic and Jovanovic kept Zvezda in the hunt with strong offense in the paint, and it was 71-69 after Dylan Ennis drove to score and Lessort dunked to cap a 2-10 run. Douglas converted a three-pointer and Davidovac netted a jumper, before Simon hit another triple as the third quarter ended 77-71. McCollom’s three-point play extended the lead at the start of the fourth and Brown’s transition dunk made it 82-71, but Ennis hit back with a triple and James Feldeine netted a put-back to tighten the gap. A pair of baskets from McCollom protected Efes’s lead to force Zvezda into timeout with an 88-81 deficit midway through the final period. A slam from Lessort was cancelled out by free throws from Motum and Dragic, who then hit a triple for a 95-83 edge. 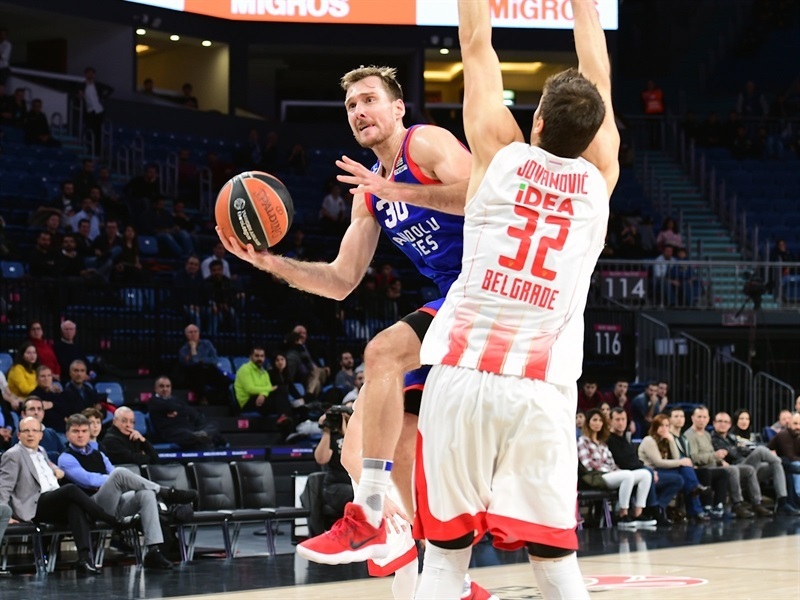 A 0-7 spurt capped by Bjelica’s triple gave Zvezda fresh hope, but Douglas sank free throws and Dragic took the score past 100 to seal the deal for Efes.